Gerrards Cross is a town in the South Bucks region of Buckinghamshire. It lies on the foothills of the Chiltern Hills, an area of outstanding natural beauty. It also has a central public park, Gerrards Cross Common, as well as Bulstrode Park Camp, which as an Iron Age settlement, is a preserved area. The town is very affluent, with the average household income estimated at £78,000 in 2016. 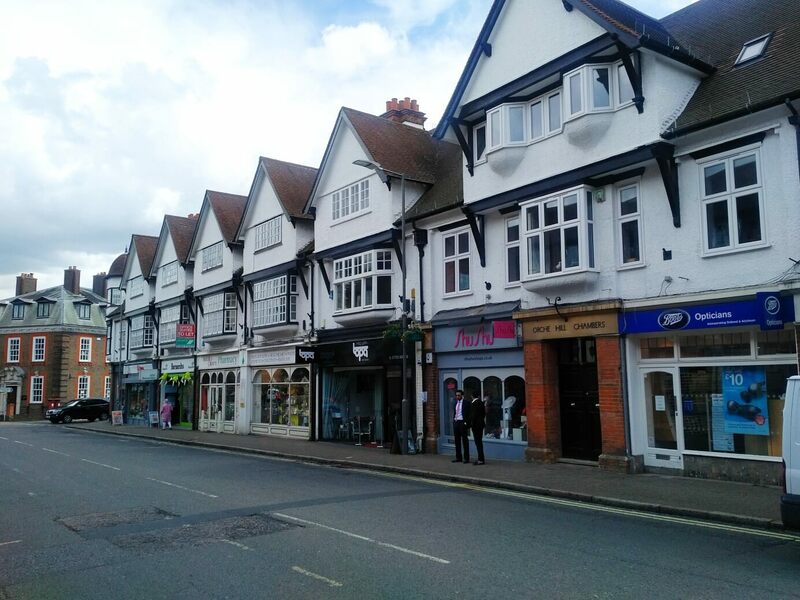 Residents and visitors to Gerrards Cross have a total of 42 restaurants to choose from, including old-fashioned pubs in fascinating quaint buildings from the 18th and 19th centuries. Many celebrities live in and around Gerrards Cross, including Des O’Connor, singer Noel Gallagher and actress Margaret Rutherford. The total population as of 2016 was 8,017. Located only 14 minutes’ drive from Heathrow Airport and 19 miles from central London, and furthermore situated close to the M25 and M40, it is easy to understand why Gerrards Cross was voted the most popular town with London commuters in a 2014 survey. There is a railway station on the Chiltern line that offers a fast service to London. The town is also much desired by parents, as it boasts 14 outstanding schools rated by Ofstead in and around the parish. As an affluent and much desired living location, properties in Gerrards Cross do not come cheap. Much of the housing stock comprises large detached properties, and the average property-selling price in Gerrards Cross is £815,253, which is a 10% increase over the year. Why Hire Us for Your Gerrards Cross Loft Conversion? Touchstone has converted dozens of lofts in Gerrards Cross, saving the homeowners the considerable expense and hassle of moving once settled in the town. We are very familiar with the town’s planning department regulations, and can help you with paperwork, should it be necessary. Because we are experts in converting lofts, as opposed to a building firm, we do not need to outsource any part of the conversion. Our in-house team will complete all stages of the build to maintain our strict high standards. Because properties in this area tend to be on the larger side, you will likely be able to convert your loft with a more spacious hip to gable conversion. Nevertheless, before advising on a particular type of conversion, we always make a lot of effort to find out precisely what our clients want to gain from converting their loft, and will advise you accordingly. The cost of converting a Gerrards Cross loft is minimal compared to the increase in value it will add to the property, so call us on 0800 881 8194 or fill out our contact form. We will get back to you very shortly to arrange a time to survey your loft, and give you a free quote at a suitable time.